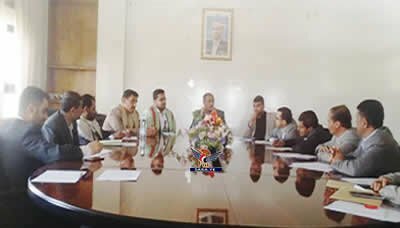 SANAA, April 14 (YPA) – Minister of Information in the National Salvation Government Dhaifallah al-Shami on Sunday directed the official media institutions and sectors to redouble their efforts to cope with the current challenges under extremely complex circumstances. During an expanded meeting devoted to discuss arrangements for commemorating the first anniversary of martyrdom of President al-Samad, the minister stressed the importance of enhancing coordination between the official and private media in order to enhance performance in confronting the aggression. The meeting also dealt with the unified media policy to confront the aggression and enhance the role of the media in discussing various issues.